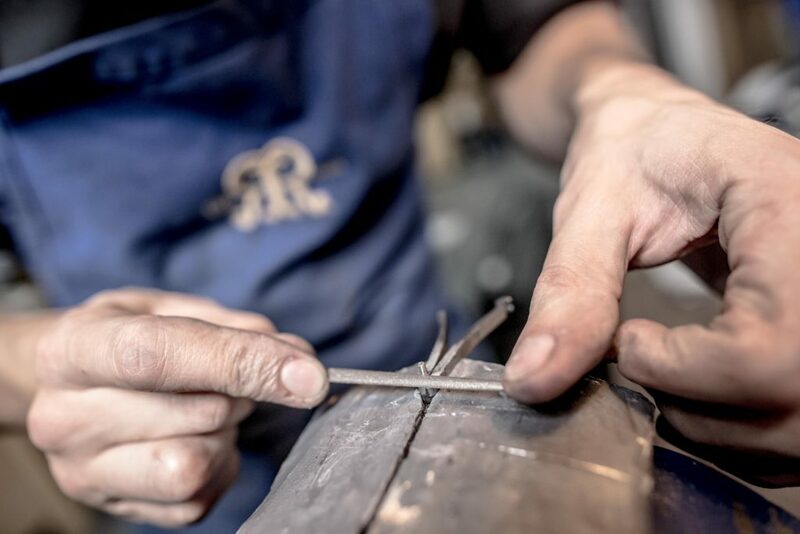 Workshop - John Rigby & Co.
As one of the last places in London where guns are “made out back and sold out front” we are extremely proud to have a full-time team of skilled craftsmen in-house. 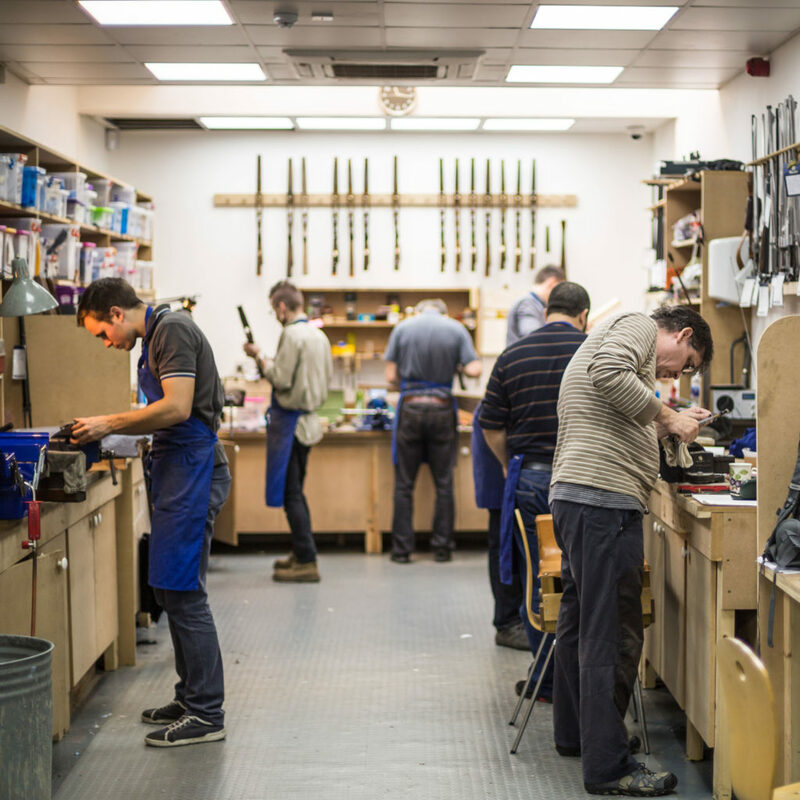 Each of our gunsmiths has worked his way through the ranks from apprentice to master gunmaker. Some members of our team trained at Rigby when the company was last based in London, and can boast more than 30 years experience. We’re pleased to be able to offer Rigby owners and enthusiasts the opportunity to see the team at work at Pensbury Place. 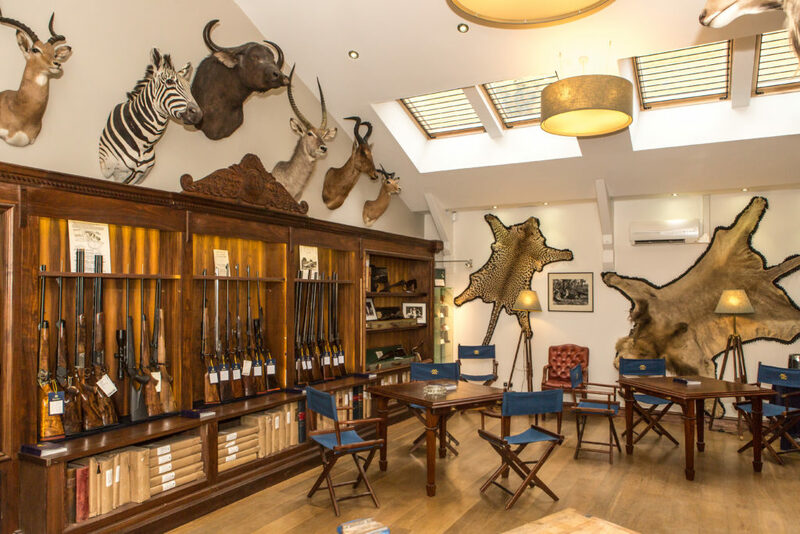 Call in or contact us to find out more about visiting our workshop, gunroom and museum.